Q. What sizes do they come in? A. 2 ft. X 5 ft. is the smallest size we make and 7 ft. X 12 ft. is the longest that we make and everything in between. Q. Do you stock the product? A. No – we custom manufacture for each customer depending on the size and style for their home. Q. Are all window wells the same? A. No – window wells vary depending on the age of your home and the size of window and well you have in your home. Q. Is it hard to install? A. No – the 1st stone is a little tough, but if you follow the instructions you will be fine. A. They are not cheap. Polyurethane is not a cheap product, but it is known for its weather resistance and durability. It will outlast most of us! Q. What is the approximate cost? A. $10.00 a square foot shipped in most situations. The more you buy the cheaper shipping is. A. Yes – in areas where we have a dealer. It really isn’t that hard to do it yourself. Q. How do I measure? A. For liners, you need to take a perimeter measurement and a depth measurement. You can measure from either inside or outside the well, just be safe it hurts to fall in. With your tape, wrap it around the inside perimeter concrete to concrete or into the window depending on your style of well. Now measure the depth. We suggest adding 2” to the depth so you can bury it below ground but if you want to add some rock to dress up the bottom don’t add anything. Email the size and style and we will do the rest. Q. How do I measure a foundation? A. Best thing is map out the area you want to cover. Measure the lengths and heights and fax it to us at (801) 270-9357 and we can help you lay it out. Q. Will the covers yellow? A. We use a U.V. treated Lexan that has a 10 yr. Guarantee. A. Yes – as long as you don’t plan on using it as a trampoline. They have a 250 lbs. Weight capacity. Every thing you will need if someone were to fall. Q. What kind of metal is the cover made of? A. Our support system is all Aluminum. The two major bonuses of aluminum are it is lightweight and it will never rust. A. Yes – side-to-side and well as back to front. Q. Will the covers crack? A. No – not for a long time at least. Lexan is used in many ways shere impact is an issue. Airplane and race cars windshields are made from Lexan. You can literally hit it with a hammer (not recommended) and it will bounce back in place with no memory (meaning it won’t leave a dent). 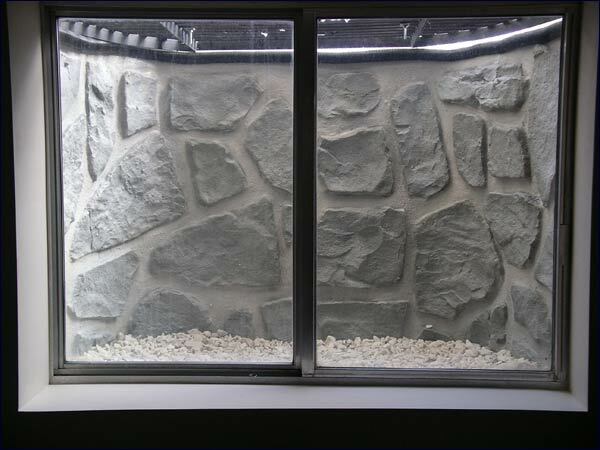 It is considered one of the strongest basement window well covers on the market. Q. Will Lexan covers fit all window wells? A. Yes – however, we only have certain sizes available. If you send us a template, we will make them to your size at no additional cost. Q. What do they cost? A. It depends a lot on the size, type and quantity but $14.00 per square foot and up including shipping. If you email us the size, we will give you an exact price. 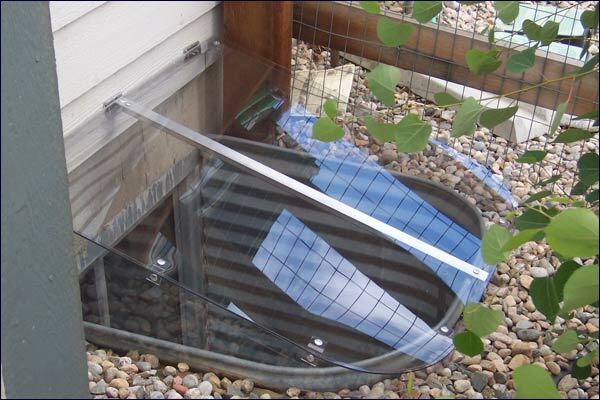 Some of the more affordable Basement Window Well Covers available. A. Measure the widest part of the well where it meets the house and go outside edge to outside edge. Come around to the center of the well and measure from the house not the window to the outside edge of the well. Make sure to measure all your wells individually. They may look the same size, don’t trust it, just measure. Email us the size and we will take it from there. Q. Do grates fit all wells? A. No – and they are very expensive to customize, but we can do it. A. Measure the widest part of the well where it meets the house and go outside edge to outside edge. Come around to the center of the well and measure from the house not the window to the outside edge of the well. Make sure to measure all your wells individually. They may look the same size, don’t trust it, just measure. Email us the size and we will let you know your options. Q. How many standard sizes of grates do you have? A. 28, so we can cover most wells. Q. What kind of coating do they have? A. 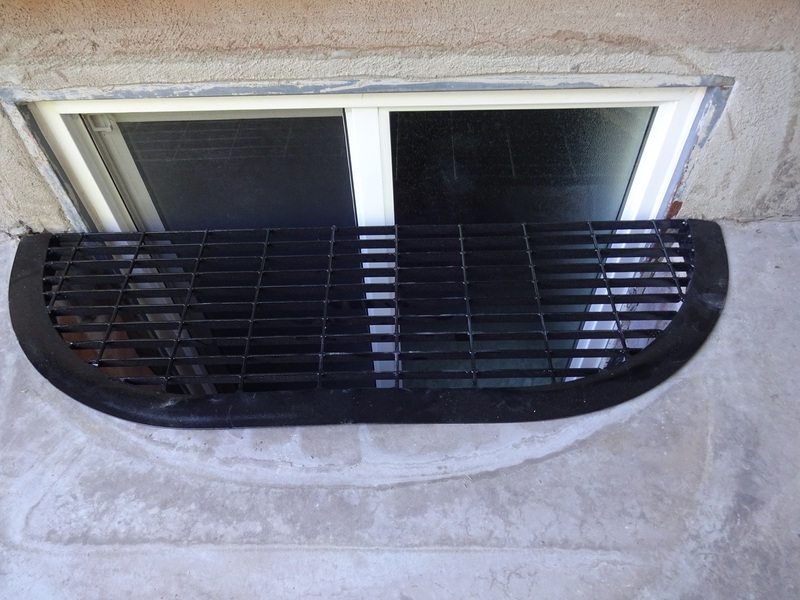 Our standard grates are bronze and black baked powder coat. It looks very nice and it’s durable. Our custom grates are a dipped paint process. A. Yes – I suggest buying a can of paint and keeping an eye on them. Spray them before they really get to rusting. You can keep them looking nice. Q. Do you have ladders? A. Yes – 4ft. – 5ft. – 6ft.